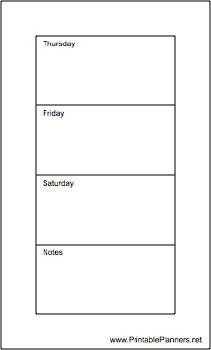 This daily planner page is Hipster PDA (index card) sized. It is the second part (Thursday though Saturday) of a week on two pages and is oriented vertically. It also has space for notes.